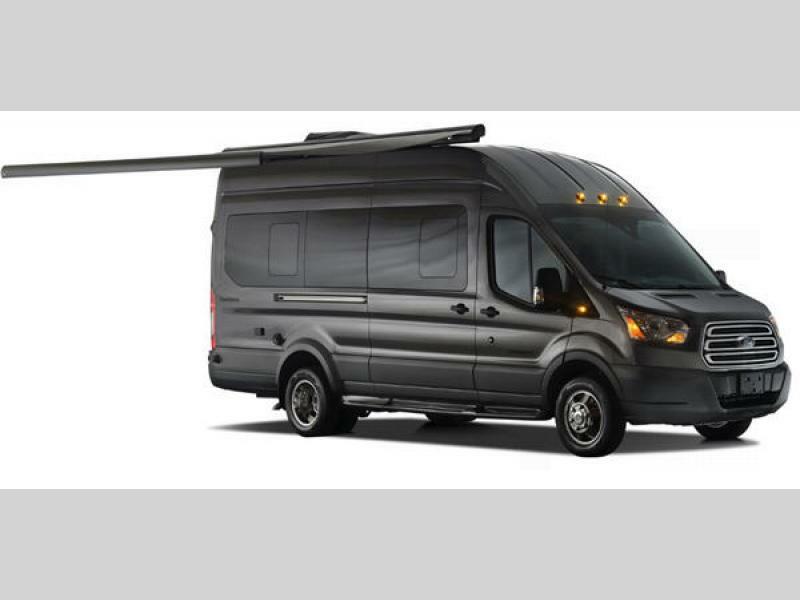 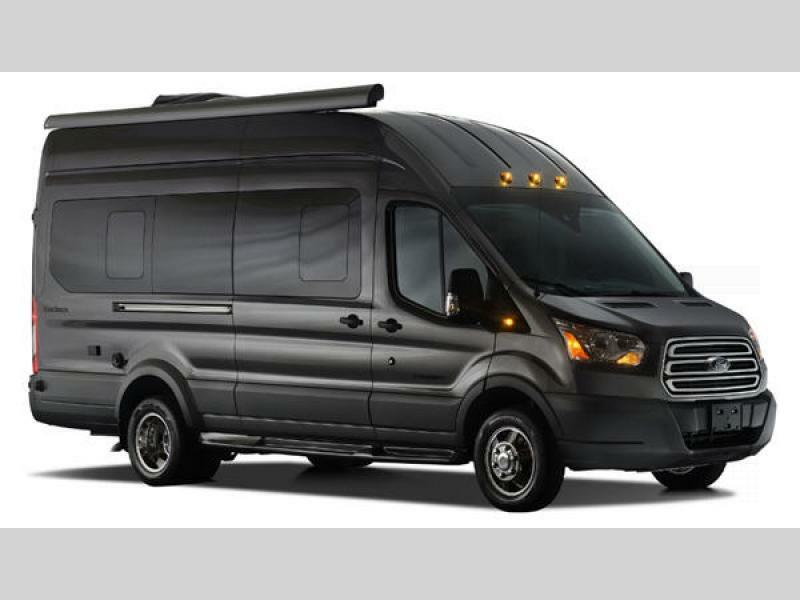 The Crossfit class B gas motorhome is built on a Ford Transit 350 HD chassis, and features everything you need to travel effortlessly. 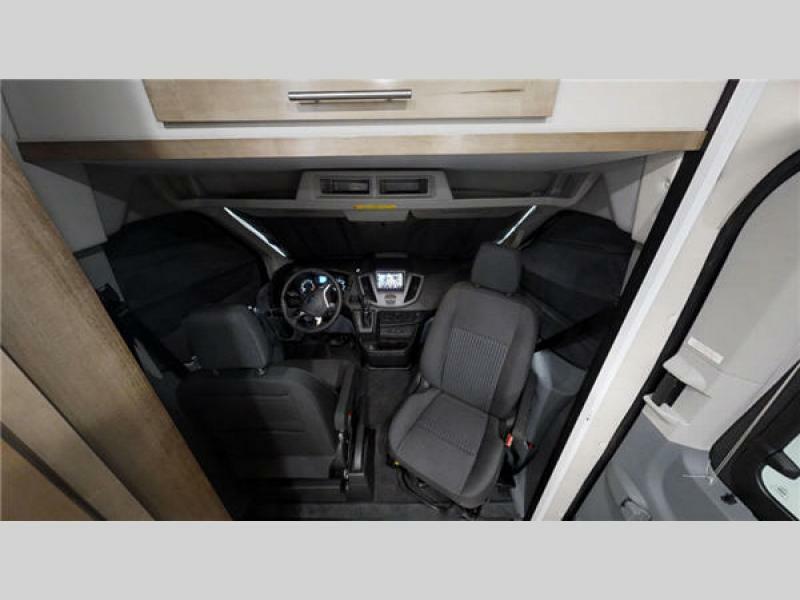 You will appreciate the fuel economy, styling, and reliability of the motorhome that was designed for today's active lifestyles. 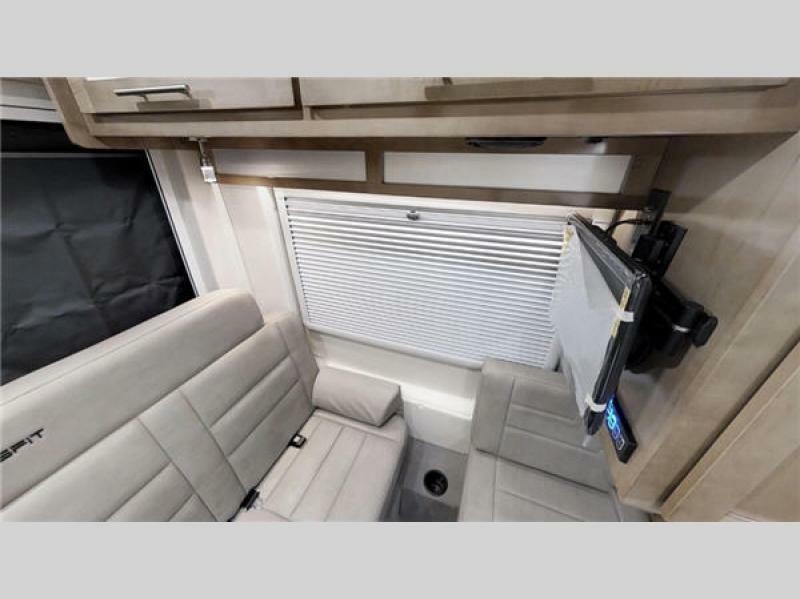 You will find luxurious captains seats up front for when you are on the move, and a great view throughout the large frameless windows. 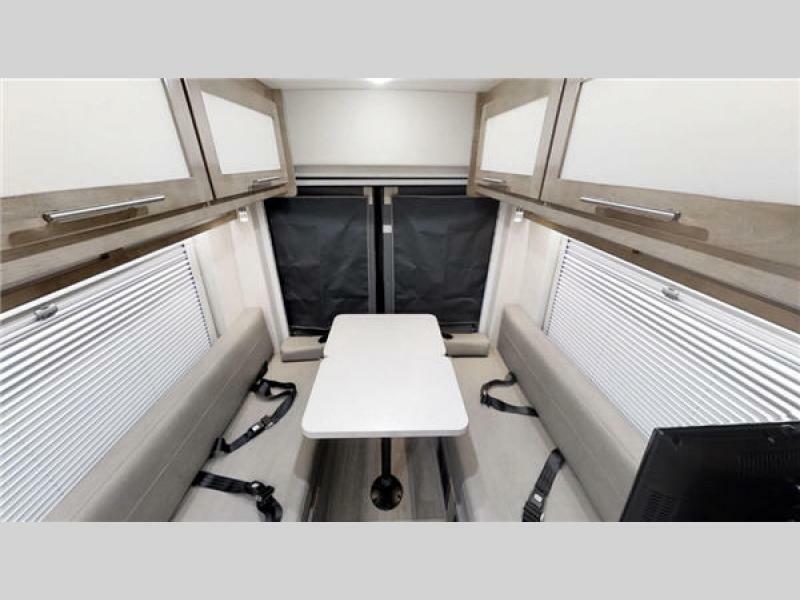 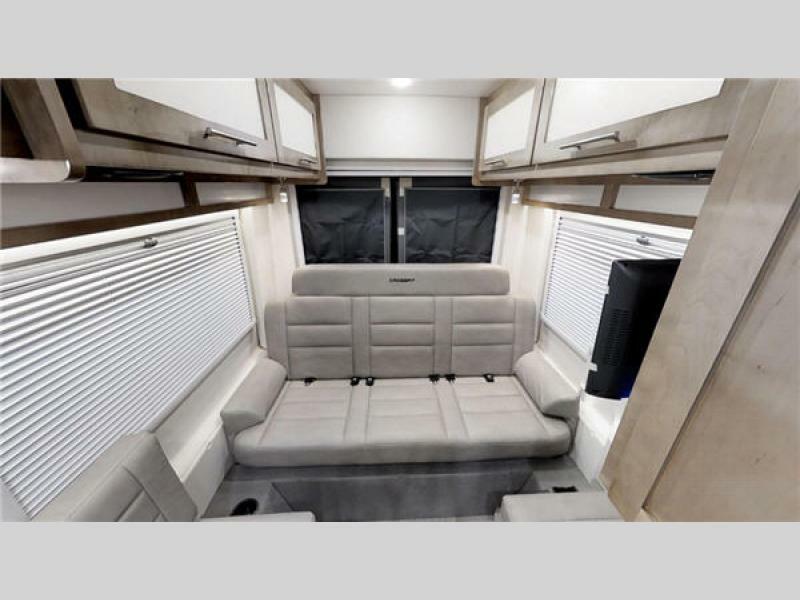 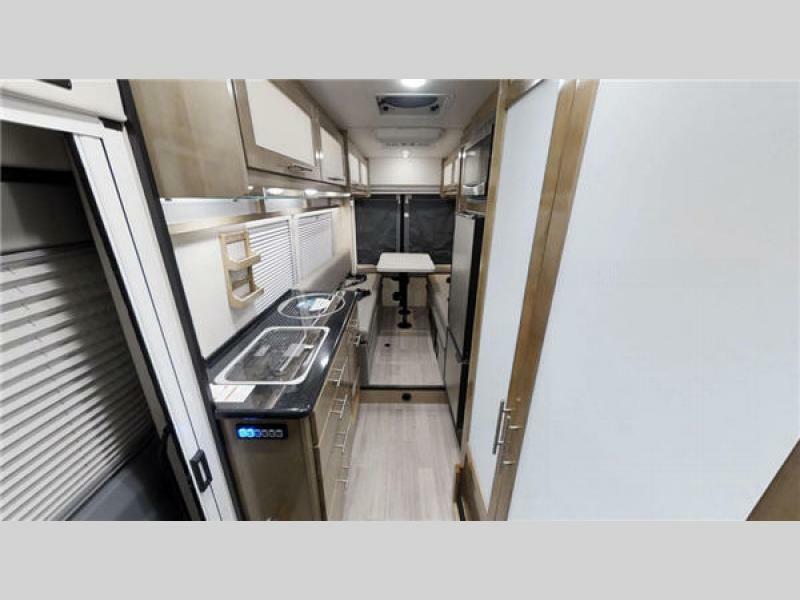 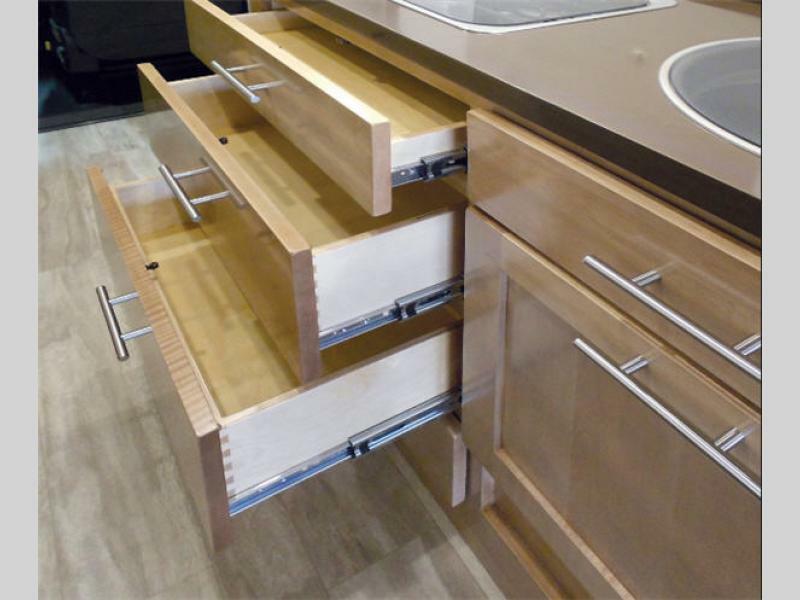 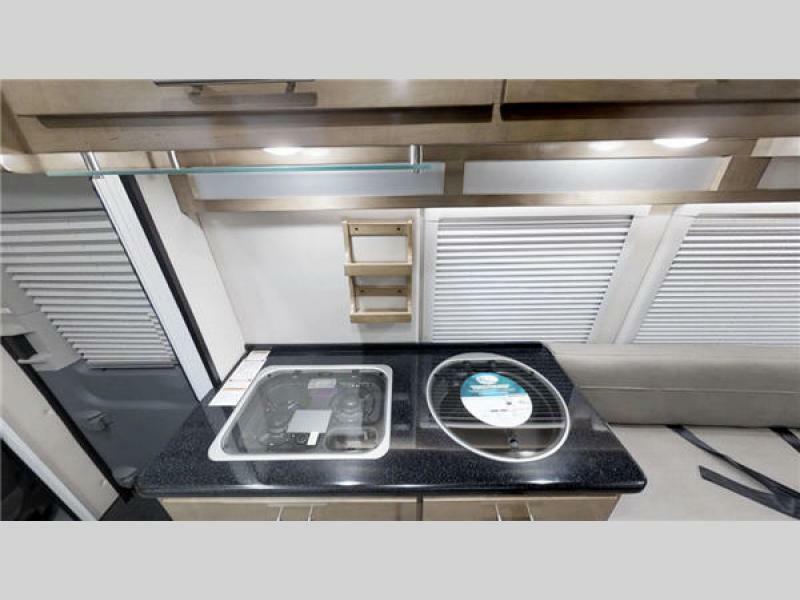 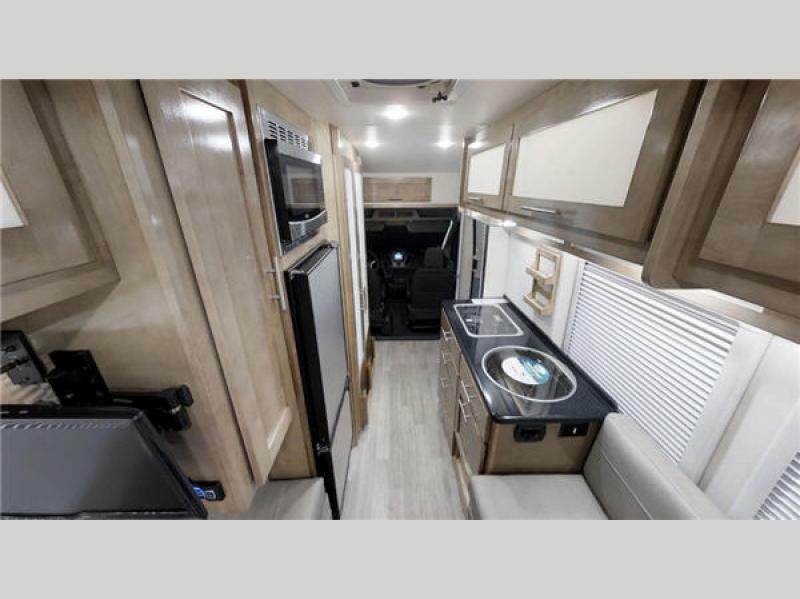 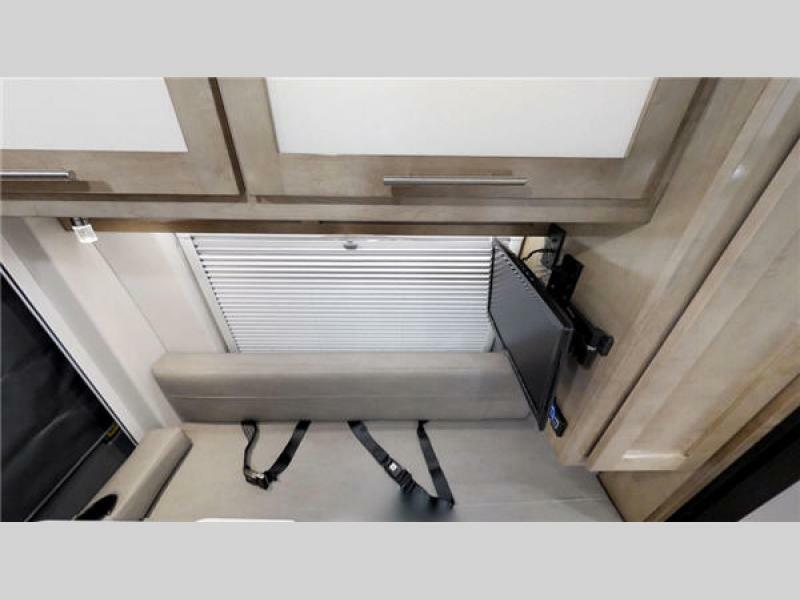 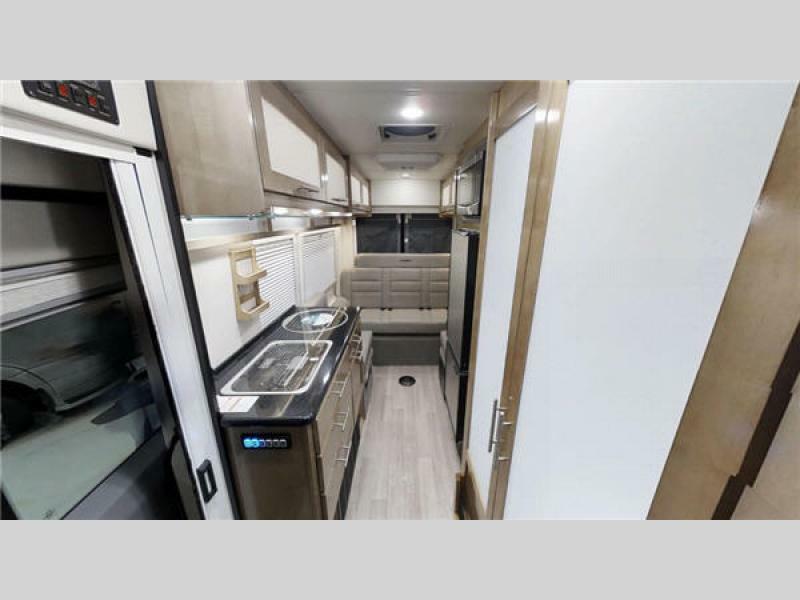 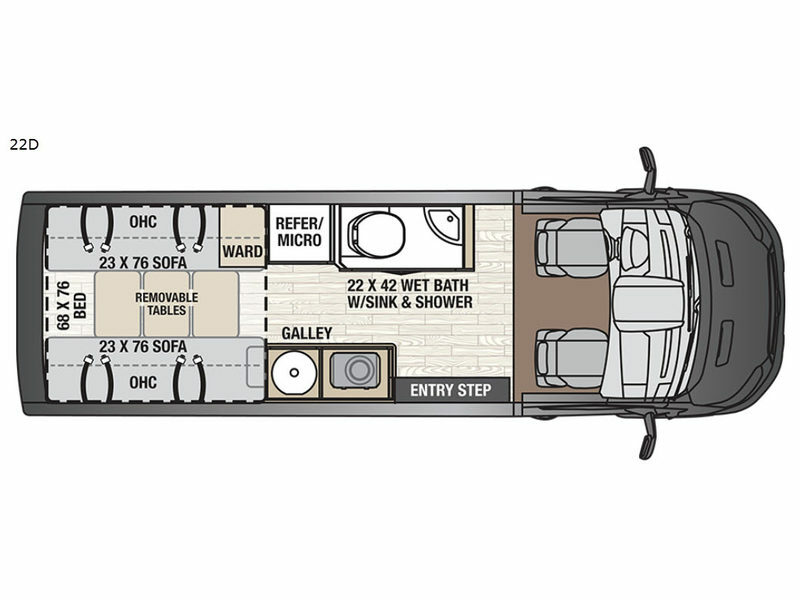 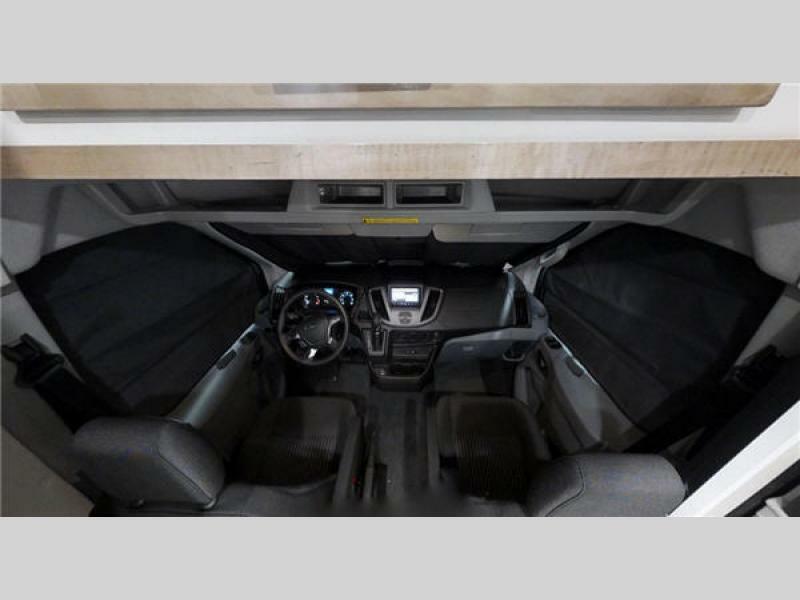 The interior will provide you comfort and the ability to enjoy any length of trip with pleasant seating, sleeping accommodations, plus kitchen and bath amenities as well. 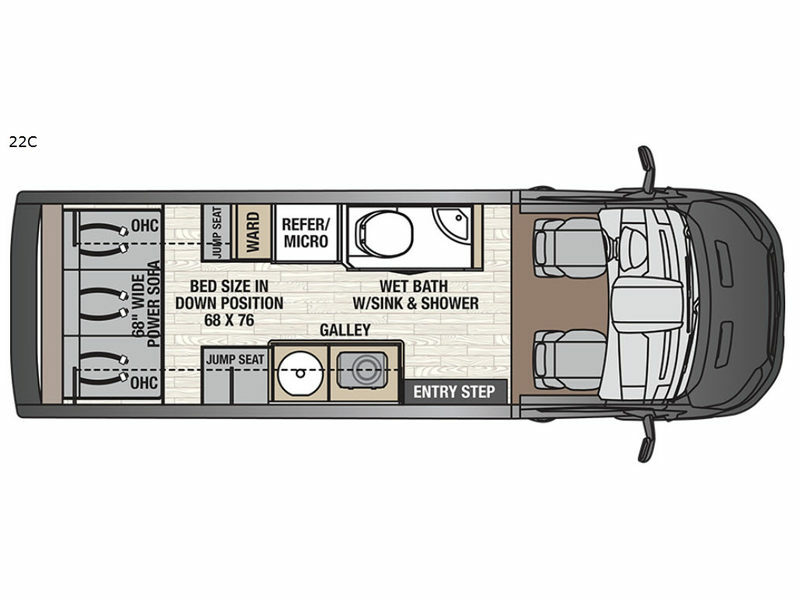 Choose your favorite layout, and start finding the action in a class B Coachmen Crossfit motorhome. 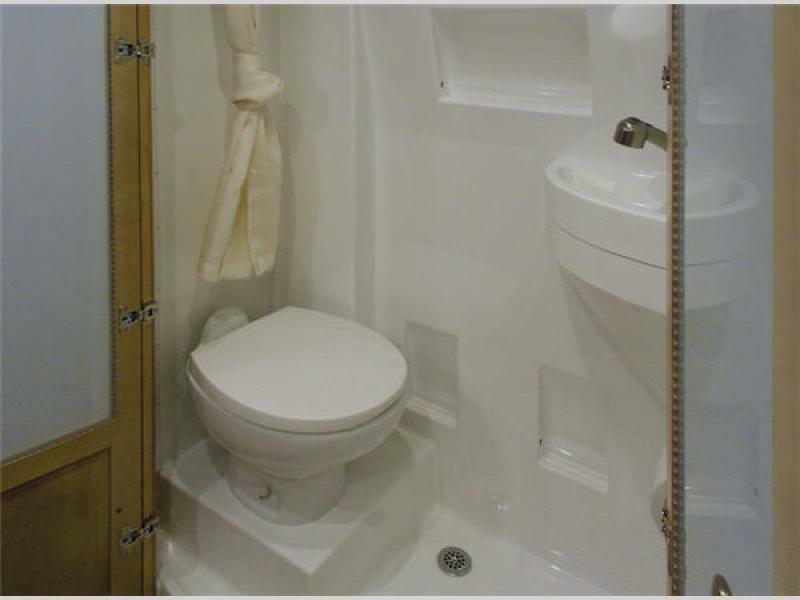 Shower Size 22" X 42"